This pink lehenga is a pure outfit goal for the next shaadi you attend! 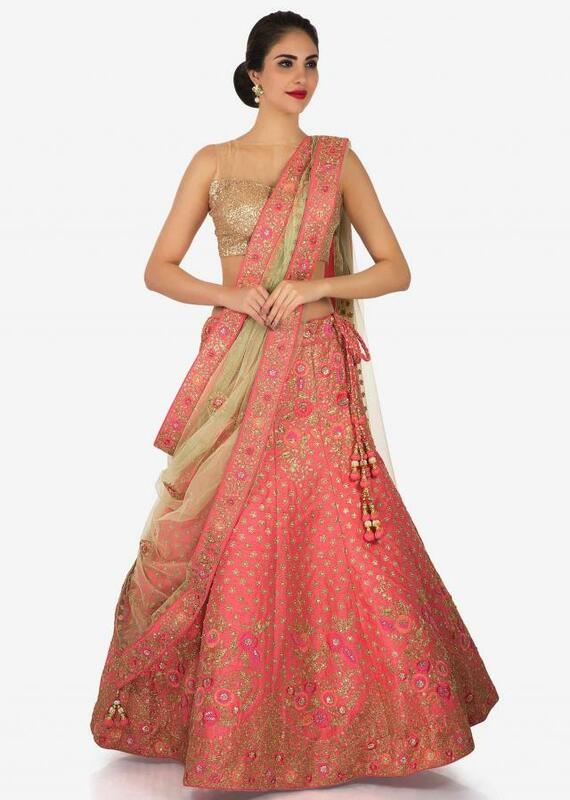 The lehenga in featured in raw silk fabric. 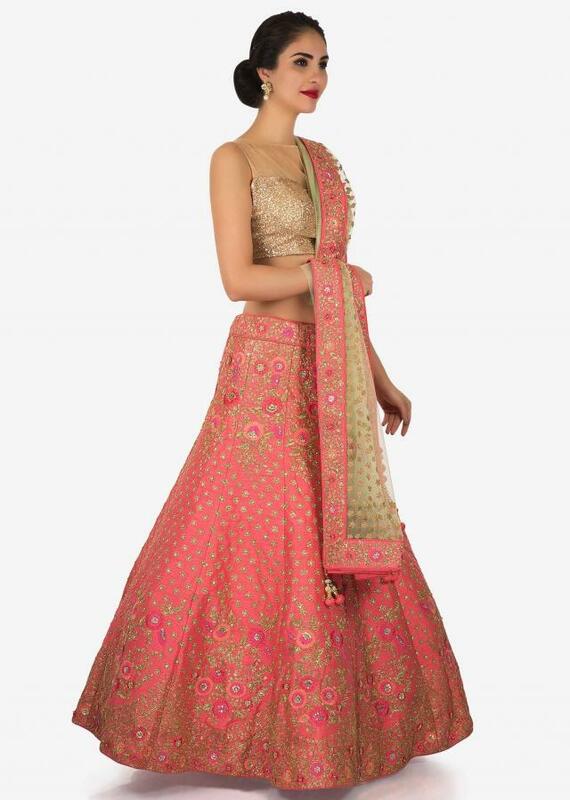 It is perfectly formed using the zari and resham embroidered work with sequin specification. 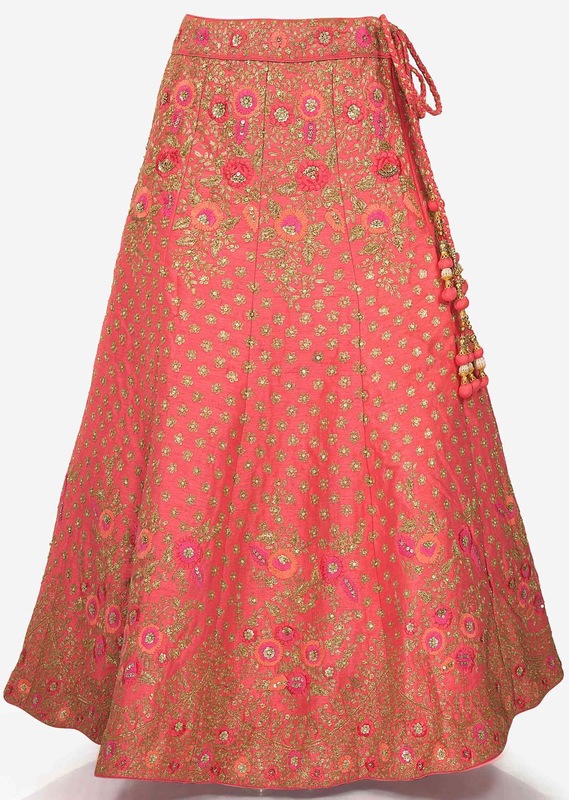 It comes with an unstitched blouse in raw silk. 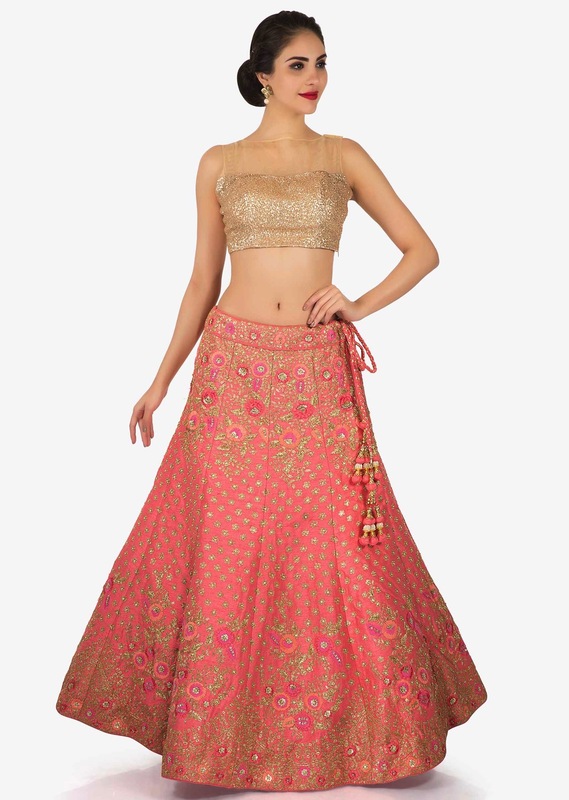 The doll like hem of the lehenga elevates the look even more. 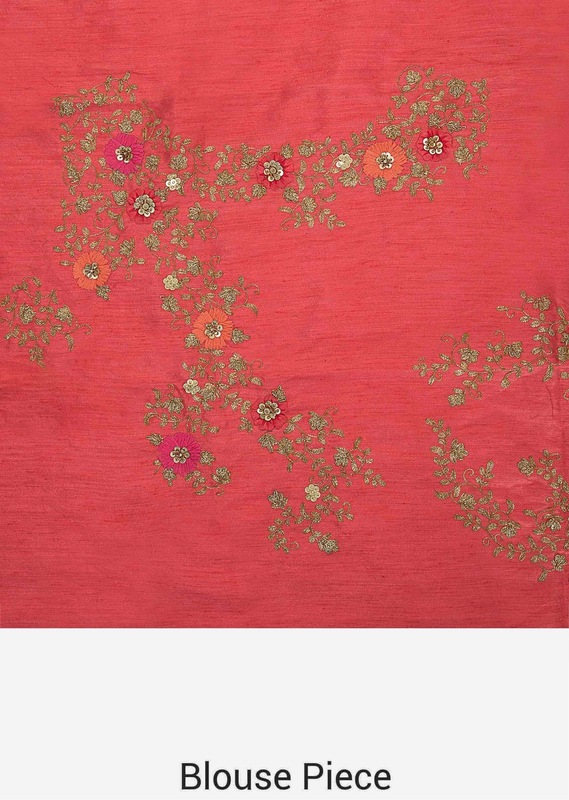 Teamed up with a net dupatta in olive green shade.